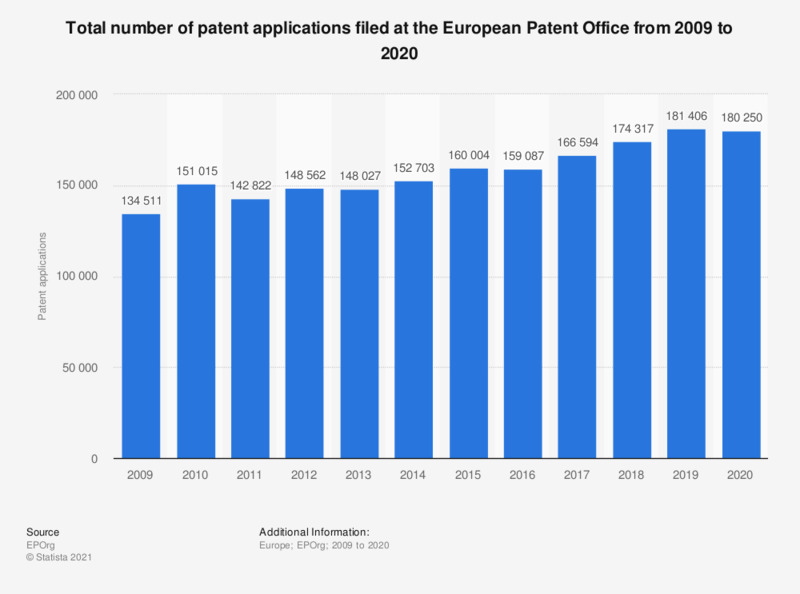 This statistic shows the total number of patent applications to the European Patent Office from 2009 to 2018. The number of patent applications saw an overall increase of 39 thousand over the assessed period. In 2018, there was a total of 174.3 thousand applications to the European Patent Office. European patent filings include direct European filings under the European Patent Convention (EPC) and international filings under the Patent Cooperation Treaty (PCT).